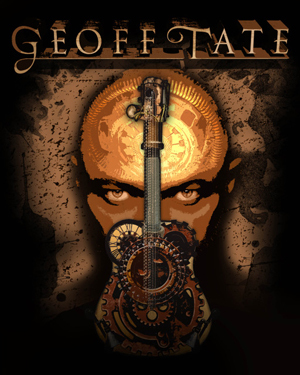 Beginning Sunday, January 22, 2017, multi-platinum selling, GRAMMY-nominated singer/songwriter Geoff Tate embarked on an extensive U.S. tour highlighting songs from all 17 albums he has done throughout his illustrious 35 year career. Geoff presents his upcoming all-acoustic show with himself, backed by a 7-piece acoustic band of musicians from the United States and Ireland -- featuring three guitar players, mandolin, cello, saxophone, violin and multiple percussion instruments -- to produce a high energy acoustic version of some of the heavy metal genre's most recognized songs including "Silent Lucidity", "Jet City Woman", "Empire", "I Don't Believe In Love" and "Eyes Of A Stranger". 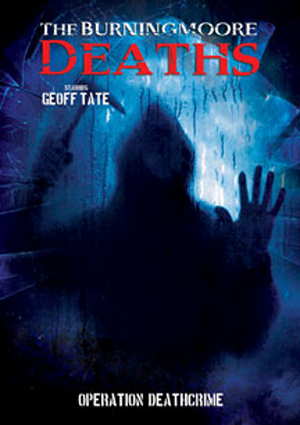 On February 14th, MVD Entertainment released the feature film debut of Geoff Tate. Entitled The Burningmoore Deaths, the horror film - written and directed by Jonathan Williams - is inspired by true events surrounding unsolved murders captured on security cameras during a production shoot of a Home Improvement TV show pilot. Tate takes the role of James Parrish, a man who allegedly killed his own wife and three children before disappearing without a trace. With the home now vacated and boarded up, a home improvement company gets permission to film the renovation process for a test pilot for a TV network, not knowing that Parrish had returned to take up residence once again in the derelict building. Bloody chaos ensues - and it's all captured on camera! "I think I've always done it... in our own shows and with the way I present music," said Tate. "It all has a bit of a stage acting bend to it. So this wasn't really a stretch for me... it was just playing to a different audience, to a camera rather than a room full of people, but it's the same thing. You play-act and you make stuff up and you present that like you like you would in a stage show."